But why risk it when you could be prepared? We’ve put together a Flat Tire 101 for folks who prefer not to be at the mercy of fate and circumstance. 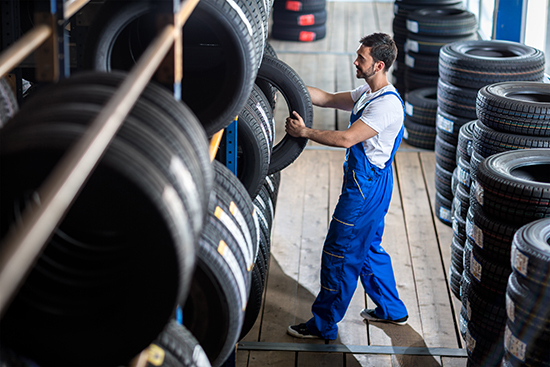 Here’s our best advice on how to take matters into your own hands when you hear the telltale “ker-thunka-thunka-thunkâ€ of a tire that’s given up the ghost. This may seem obvious, but oftentimes the driver’s first impulse is to tough it out and wait until the next service station. Not a good idea. A car with a flat tire is inherently unbalanced, unpredictable, and generally unsafe. It doesn’t matter how good you think you are at driving, because that flat tire will likely make you even better at crashing. So try to find a reasonably level piece of real estate and park your vehicle on it as soon as possible. 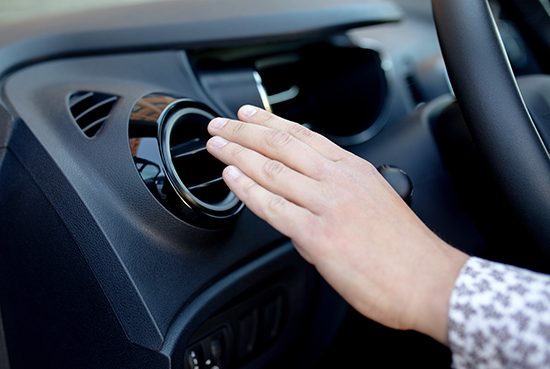 Don’t forget to set the emergency brake and turn on your hazard lights! 2. 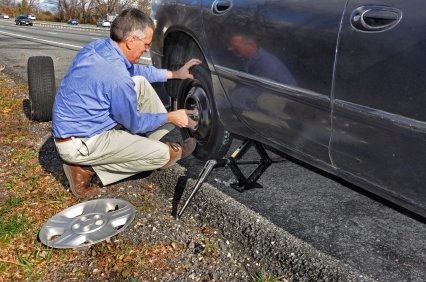 Locate your spare tire and tire-changing tools. Spare tires aren’t always in the same place, but most can be found under the floor of the trunk. If you have a utility vehicle, your spare might be under the rear end of the vehicle or on the outside of the cargo door. You’ll want to track that tire down posthaste and remove it from the vehicle for installation. When in doubt, consult your owner’s manual for details. It’s possible, by the way, that your car doesn’t have a spare. Maybe the manufacturer supplied a canister of temporary sealant instead. That’ll probably get you to the next service station. If you’ve got a spare, then the main tools you’re looking for are a lug wrench (a.k.a. “tire ironâ€) and a jack. If you have alloy wheels with wheel locks, note that you’ll need a separate “keyâ€ for the wrench in order to get the wheel off. These typically reside in the vicinity of the spare tire, but again, that owner’s manual will know for sure. 3. Loosen the lug nuts. Lug nuts are screwed on pretty tight to begin with, and they only get tighter as the miles pile up. So don’t be surprised if you have to make some uncivilized grunting noises in order to get them spinning. 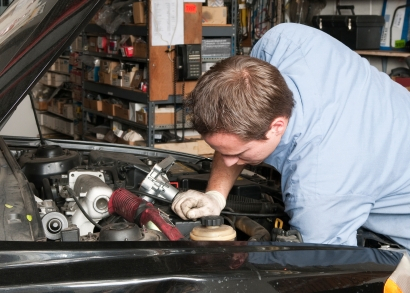 You might even need to stand on the wrench in order to break a stubborn lug nut loose. Don’t worry, any wrench worth its salt is built to handle considerably more than your body weight. Remember, we’re just going for “looseâ€ here; full removal comes later. 4. Raise the car using the jack. This part sounds scary, but it’s really not. The trickiest bit is finding a solid “jack pointâ€ on the frame near the compromised tire. Some cars have clearly marked jack points (look for an arrow or similar indicator at the edge of the frame), while others may require yet another deep dive into the owner’s manual. Once you’ve located a suitable point, position the collapsed jack under it and then raise the jack until the compromised tire is completely off the ground. The raising procedure is super-simple, assuming you’ve got the ubiquitous screw-style jack. Just hook the extension arm to the jack and start “screwingâ€ it in a clockwise direction. Your car will levitate before your eyes. 5. Remove the lug nuts and original wheel/tire. This step is largely self-explanatory; just don’t forget to put the lug nuts in a safe place as you remove them, because you’ll need every last nut to get the spare tire on there. Once the original wheel/tire is off, put the whole unit where the spare used to reside, or else toss it in the trunk or back seat. 6. Mount the spare and gently reinstall the lug nuts. Before heading down the homestretch here, consider limbering up a bit. We’re serious. Hoisting the spare onto the wheel hub isn’t easy, and you could strain your back if you don’t warm up properly. Always remember - lift with your legs! If you look at the hub, you should see some metal studs protruding from it. The spare needs to be lifted onto those studs such that it catches and hangs there. Make sure that the wheel fits snugly against the hub. Now, screw the lug nuts back in, proceeding around the hub in a star pattern to keep the force evenly distributed. Use the lug wrench to tighten them moderately, but don’t give it all your strength just yet. Don’t forget, the vehicle is still jacked up in the air at this point. 7. Collapse the jack and fully tighten the lug nuts. Using the extension arm, spin the jack down counter-clockwise until you can slide it out from under the vehicle. The spare is now firmly on the ground, supporting the vehicle’s weight. Grab your lug wrench and give each lug nut a strong extra turn. To ensure you’ve really tightened them properly, hop in your car and drive for a mile or so. Then pull over safely (off the highway), and wrench on them one last time. Congratulations! You just changed a tire.